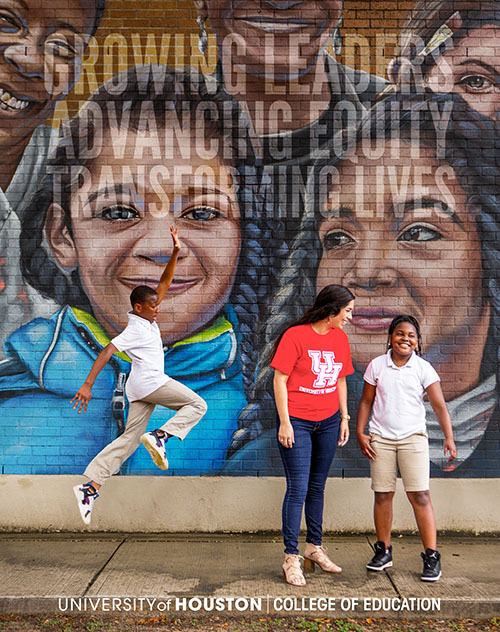 Pictured: Teaching graduate Meghan Galvan catches up with her students in front of the iconic mural adorning Blackshear Elementary in Houston’s Third Ward. 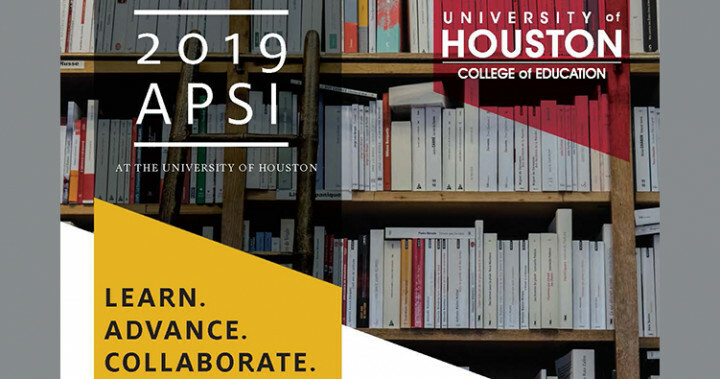 At the University of Houston College of Education, we’re working to improve educational and health outcomes for all children and families through effective teaching, innovative research and strong partnerships. Students learn in the context of a multicultural city from distinguished professors who merge research with real-world lessons. We’re preparing future teachers, administrators, counselors, psychologists, health specialists, researchers and other leaders to transform lives in Houston and beyond. Our award-winning teacher-preparation program gives students invaluable classroom experience with support from experienced mentors. At the graduate level, our degrees deepen students’ research skills and content knowledge for career advancement. Together, we're making an impact in schools across the region. Our graduate programs prepare aspiring principals, superintendents, special education professionals, higher education administrators and other scholars committed to transformative leadership. 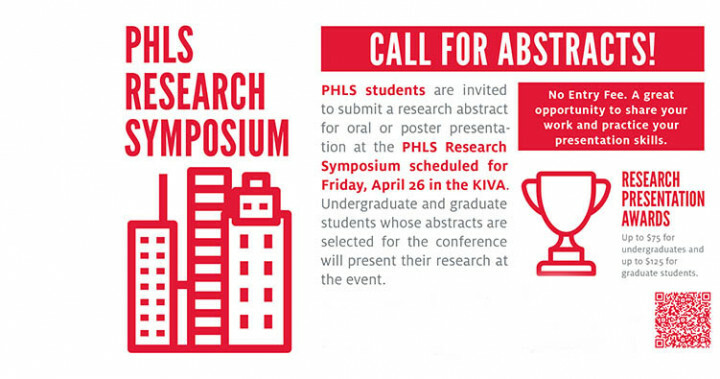 We also offer undergraduate minors in special populations and Asian-American studies. With a focus on improving wellness and quality of life, we offer undergraduate degrees in health and human development and family studies. We also offer graduate degrees in counseling, counseling psychology, school psychology, and measurement, quantitative methods and learning sciences. 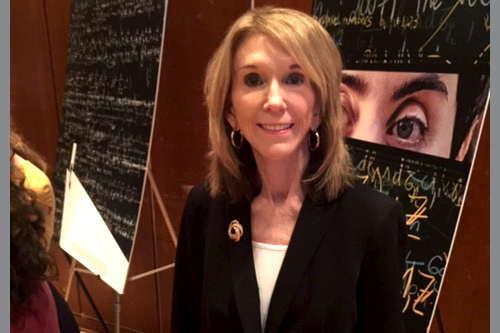 UH Provost Paula Myrick Short, also a distinguished professor in the College of Education, has been honored by the Association for Women in Mathematics. Kenya Ayers, who earned an Ed.D. 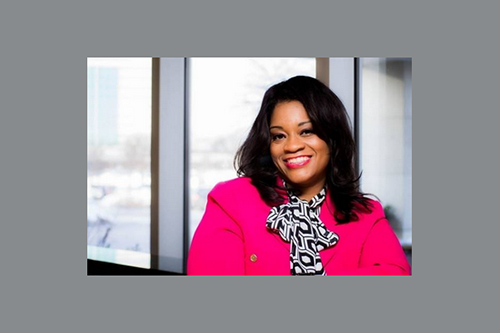 in professional leadership from the College, was named president of Tarrant County College Northeast, a community college campus outside Fort Worth. 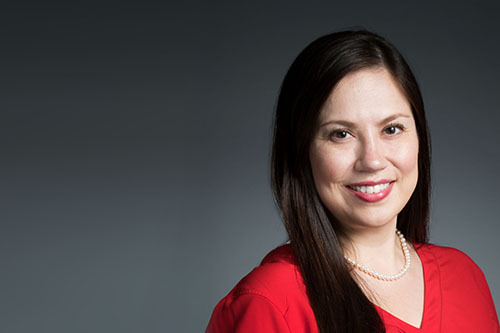 Amy Poerschke, principal of Durham Elementary, has won Houston ISD’s 2019 Elementary Principal of the Year Award as well as the College of Education’s Rising Star Award, giving to outstanding young alumni. 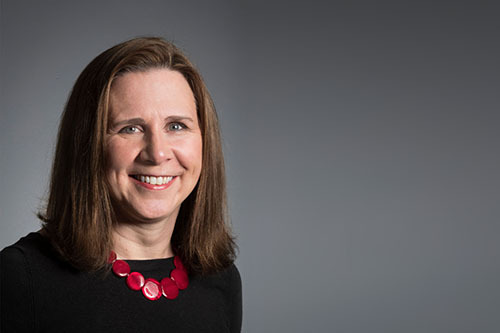 Cathy Horn, chair of the Department of Educational Leadership & Policy Studies, has been selected to participate in a prestigious yearlong fellowship program through the American Council on Education. Assistant Professor Rosenda Murillo found that people who report high rates of individuals walking in their community feel a greater connectedness to their neighborhood. More sidewalks, crosswalks and parks in all parts of town could help, she said. 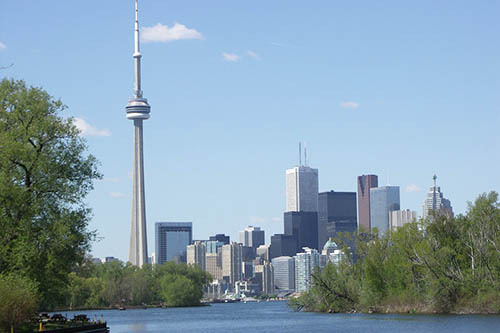 About 50 professors and graduate students from the College of Education presented at the American Educational Research Association conference in Toronto. What's more, three of the College's professors were honored with awards for their work. 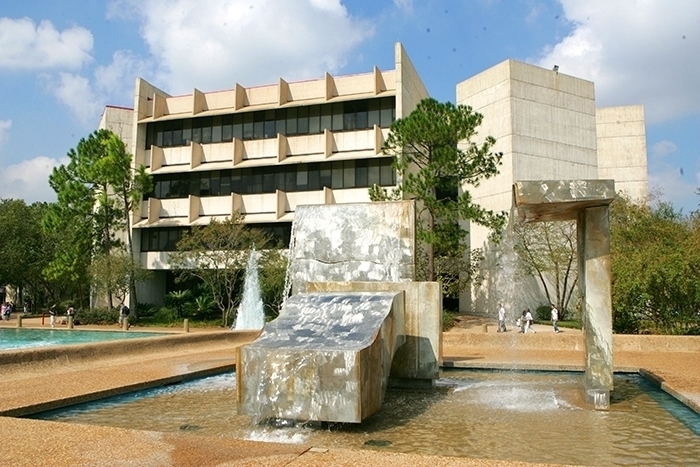 Seeking to grow a network of math leaders in the region, UH Sugar Land has started offering a hybrid doctoral program that can be completed in just two years. 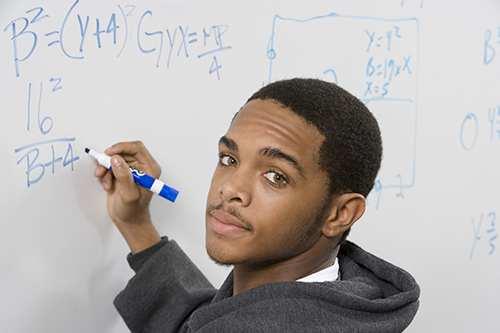 Graduates can serve as curriculum writers, instructional coordinators and more. Aspiring teacher Rida Rangoonwala said her father's journey from Pakistan to America, where he worked his way through graduate school, inspired her to persevere. She recently was honored at graduation for her perfect GPA. 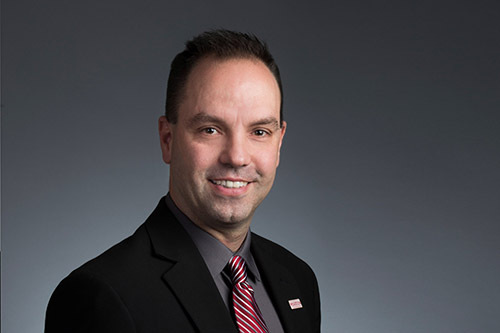 Assistant Professor Shawn Kent researched the relationship between the key components of writing and writing quality to help teachers improve instruction. He recently won an award for the publication. Cory Owen, who received an Ed.D. 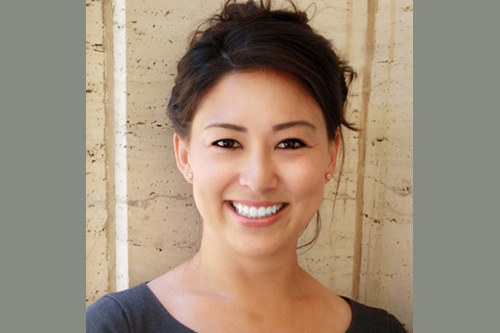 in administration and supervision from the College in 2015, works as assistant dean of international advisement and diversity initiatives at Juilliard. 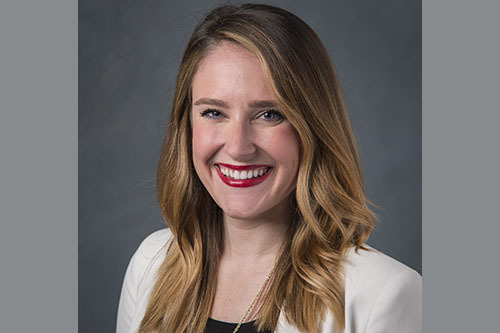 Assistant Professor Sarah Mire, who won the College's Research Excellence Award in 2018, specializes in helping families impacted by autism and training future school psychologists. 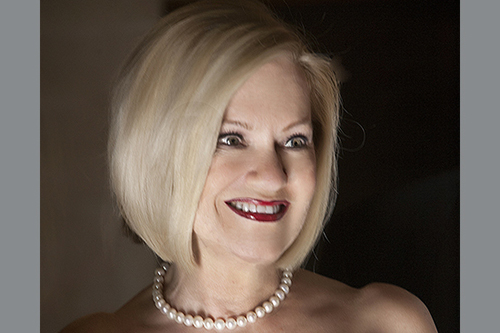 Jo Furr, who earned an M.Ed. in curriculum & instruction from the College and published a resource book for teachers, now serves on the UH Board of Visitors Third Ward Task Force. 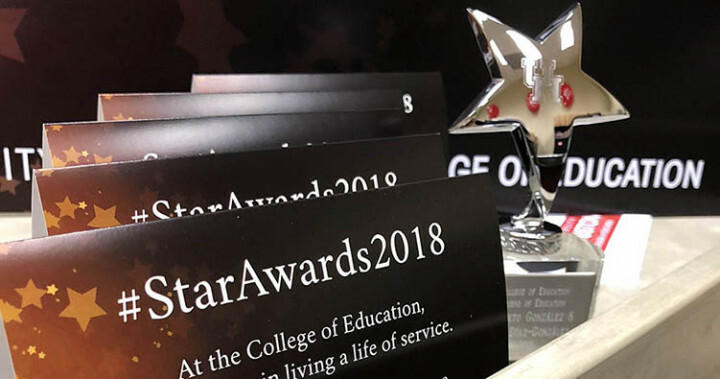 The College of Education will honor our student scholarship recipients, generous donors, distinguished alumni and supportive friends at our annual Star Awards dinner. 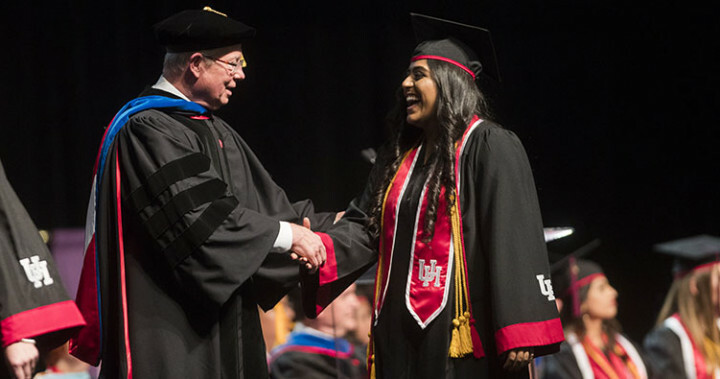 Students: We look forward to celebrating your graduation milestone at the upcoming College of Education commencement ceremony at the Fertitta Center on campus. Find details on our graduation page. Teachers: Join us for three weeklong workshops led by College Board-endorsed consultants. The training will provide resources and strategies to help strengthen Advanced Placement courses and prepare students for AP exams. Three College of Education alumni and one current Ed.D. student won leadership awards from HISD this year: Khalilah Campbell-Rhone (Ed.D. ’14), secondary principal of the year; Thomas James Cotter, secondary assistant principal of the year; Sean Negron (M.Ed. ’17), elementary assistant principal of the year; and Amy Poerschke (Ed.D. ’17), elementary principal of the year. Campbell-Rhone and Poerschke also serve as adjunct professors in the College’s school leadership program. 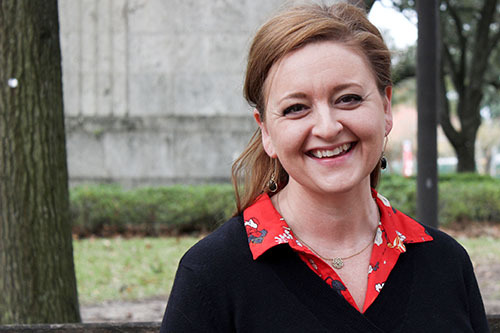 Kayce Solari Williams, clinical assistant professor and health program director, won the UH Center for Fraternity & Sorority Life Faculty Advisor of the Year Award. As part of Women’s History Month, she also was honored by Midtown Arts & Theater Center Houston and KMAZ 102.5 FM with a certificate of excellence for her valued contributions to the Houston community. 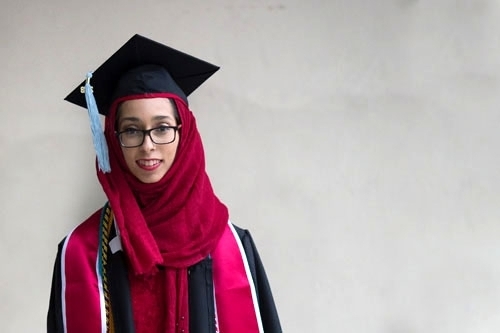 Sahar Eshtehardi, a doctoral student in the counseling psychology program, was selected to serve as student ambassador for the American Psychological Association’s Society of Pediatric Psychology. She also was selected for a summer internship focused on cancer prevention and research at the University of Texas MD Anderson Cancer Center. Learn more about the College’s programs, research, community engagement and more in our new magazine. Prospective students won’t want to miss this useful guide! Read on.